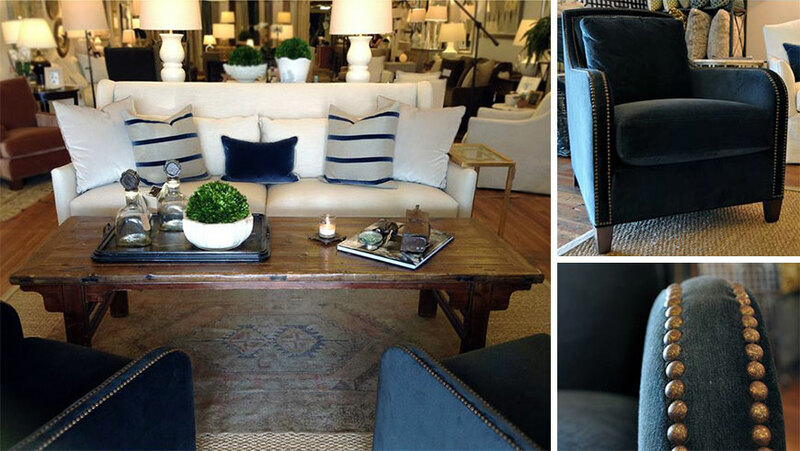 We love how Lampadas has created sophisticated and timeless, yet on trend looks with these seating vignettes. This full service southern design firm is channeling a bit of northern ambience with its navy, cream, and gold color palette. 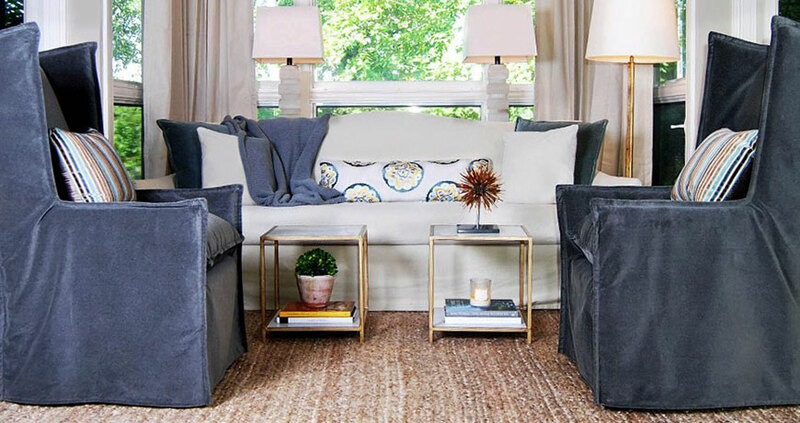 It is classic and subdued, yet interesting with patterned throw pillows, textured lamp bases, and twin coffee tables. This chic set up is proof that simplicity really is everything, if paired with a color palette that can stand the test of time. What makes good design? What makes a room inviting and comfortable? We think that having the right mix is essential to creating good design. Don’t know where to begin? Having a design professional help you select the right pieces that fit your taste and lifestyle can help you create a comfortable living space that makes you feel at home. Lampadas has it right… a great mix of textures, pattern, comfortable- “feel good” accessories like a throw, candles and books- make you feel at home. Lampadas is a showroom and design studio where you can find unique lighting, furniture, draperies and accessories for your home, as well as personal design consultations. Our team of designers specializes in residential space planning and interior decorating, giving us the opportunity to transform an interior space into a place you call home.